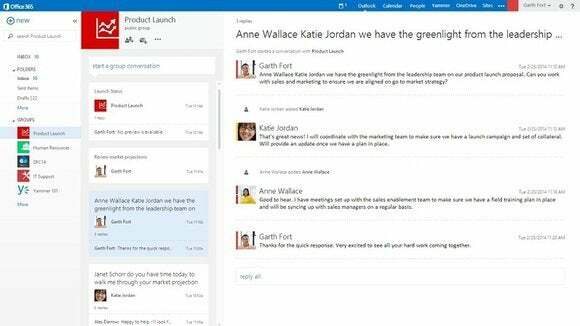 Microsoft will bundle Yammer with more editions of Office 365, adding the enterprise social-networking product to the suite’s editions for schools and midsize businesses. Existing subscribers of Office 365 Midsize Business and Office 365 Education plans will get licenses for Yammer’s Enterprise edition at no additional cost, the company said Monday. “Midsized companies are always looking for ways to increase revenue, and schools are under increasing pressure to do more with less,” Jared Spataro, general manager of enterprise social at Microsoft, wrote in a blog post. The move follows a similar one from back in November when Microsoft threw the ESN product into all Office 365 Enterprise plans. In addition, Microsoft is removing the requirement for Midsize Business and Education plan subscribers to pay for Yammer Enterprise licenses for users of their Yammer-based extranets. “This simple licensing change significantly reduces the friction in cross-organization collaboration and will enable your users to work with customers, partners, and parents and students without having to worry about additional costs,” he wrote. Yammer’s cloud-hosted ESN software lets organizations set up intranets and extranets where users, whether they be employees, customers, partners or students, can have personal profiles with activity streams, share files, participate in discussion forums, microblog, and engage in other Facebook- and Twitter-like activities tailored for workplace interaction. Microsoft bought the then-privately held Yammer for US$1.2 billion in mid-2012, betting that ESN software will become an essential part of enterprise collaboration, communication and productivity stacks. However, there are questions as to how effective ESN deployments really are, due to poorly planned rollouts. For example, Gartner predicts that through 2015, 80 percent of social business efforts will not achieve their intended benefits due to inadequate leadership and an overemphasis on technology. Office 365 Midsize Business costs US$15 per user/month, and there are three editions of Office 365 Education: A2 is free, A3 costs $2.50 per student/month and $4.50 per faculty or staff/month, while A4 is $3 per student/month and $6 per faculty or staff/month. These Office 365 plans include online versions of Exchange, Lync and SharePoint, as well as OneDrive for Business cloud storage. With the exception of the free Office 365 Education plan, the others also include full-featured Office productivity apps like Word, Excel and PowerPoint. If bought as a stand-alone product, Yammer Enterprise costs $3 per user/month.